When talking about the agricultural sector in Australia, we clearly see five goals to achieve: sustainable agriculture, economic growth, job creation, food security and rural development. Department of agriculture programs are focused on that and the best agricultural companies in Australia also include those goals among their business objectives. Agriculture development is thought as one of the most attractive business and improvements for agricultural land are being carried out in order to receive more investments. However, agricultural practices are not always easy in Australia due to economic and climatic conditions. For example, high temperatures and drought hinder crop farming as well as livestock farming. For this reason, if you need to hire agricultural services, you must look for the best agricultural companies in Australia. They not only will offer you a variety of agricultural services such as irrigation systems, farming, grass cutting or stock feeds. They will also guide you through the whole agricultural process with quality advice. They will adapt their services to you either for long terms or short terms. They count with good agricultural equipment, from feeding equipment and road graders to rotary cutters, spreading and tillage equipment, for example. Moreover, there are always keen to use new technology in agriculture. They carry out sustainable agriculture practices rather than conventional agriculture. 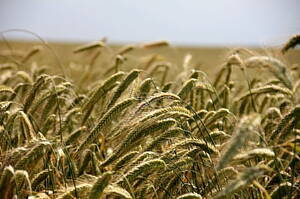 Some methods are crop rotation or cover crops. Sustainable practices lead to benefits like environmental conservation, health safety or pollution prevention, for example. At Infoisinfo we always work hard to be able to show you where to buy or hire the best products and services for you and your company in Australia whatever your needs are. This time, we’d like to help you to improve your agricultural business as well as finding the best agricultural equipment. In order to this, we’ve prepared a list of the best agricultural companies in Australia. In our directory, you could see contact details such as phone numbers, websites, opening times and address. In addition, you can have a look at comments and valuations from other clients to get a better idea about the quality of the services. If you find it useful, please do not hesitate to share your opinion too so it can help others. 4 Bain St, Currajong. Townsville. QLD, 4812. 51 Stonehaven Crs, Deakin. Canberra. Australian Capital Territory, 2600. Suite 10, 36-40 Victoria St, Somersby. Gosford. NSW, 2250. 38 Edward St, Camden. Camden. NSW, 2570. 103 Outram St, West Perth. Perth. WA, 6005. 53A Lavinia St, Athol Park. Charles Sturt. SA, 5012. 2-6 Kirra Rd, Mooloolaba. Sunshine Coast. QLD, 4557. 56 Obley St, Cumnock. Cabonne. NSW, 2867. U 1, 28 Barcoo St, Belmont. Belmont. WA, 6104. Phosyn Analytical Soil Analysis And Testing Lab, 60 Junction Rd, Burleigh Heads. Gold Coast. QLD, 4220. Henty Highway, Warracknabeal. Yarriambiack. VIC, 3393. 25 Waroo Rd, Sans Souci. Rockdale. NSW, 2219. Abbatoir Road, Abbatoir Rd, Forbes. Forbes. NSW, 2871. Po Box 6175Level 1, Adelaide. Adelaide. SA, 5000. 1076 Waterfall Way, South Lismore. Lismore. NSW, 2480. 613 Friday Hut Rd, Bangalow. Byron. NSW, 2479. Main St, Mount Tyson. Toowoomba. QLD. 175 Jackson Rd, Sunnybank Hills. Brisbane. QLD, 4109. Rna Showgrounds, 600 Gregory Tce, Bowen Hills. Brisbane. QLD, 4006. 38 Brook Hollow Ave Northwest Bus Park, Castle Hill. The Hills Shire. NSW, 2154. Box 49 Box 49, Riddock Hwy, Manangatang. Swan Hill. VIC, 3546. Mobile Hydraulic Specialties P/L, 89, 38-40 Popes Rd, Keysborough. Greater Dandenong. VIC, 3173. 16 Rosemary St, Toowoomba City. Toowoomba. QLD, 4350. 351 Frome St, Moree. Moree Plains. NSW, 2400.